I Wrote a Book; Now What? 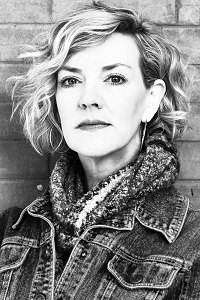 Panel Discussion and Advice from the Professionals - Sat., April 27, 2019 - 1:30 p.m. to 2:30 p.m.
Angie Hodapp is the Director of Literary Development at Nelson Literary Agency. 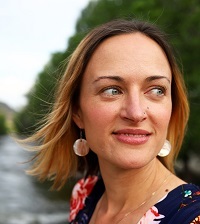 A graduate of the Publishing Institute at the University of Denver, she holds a BA in English education and an MA in English with an emphasis in communication development. She has worked in language education and professional writing and editing for more than twenty years and is a frequent presenter at writing conferences and literary events. Dedicated to helping writers improve their craft and learn about the ever-changing publishing industry, Angie is the author of Do You Need a Literary Agent? : The Writer-in-the-Know Guide to a Literary Agent's Role in the Publishing Industry (January 2019). Learn more about Angie and the Nelson Literary Agency at nelsonagency.com/about-nla/. 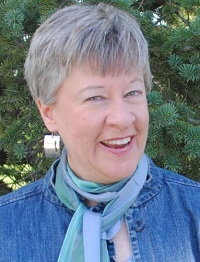 Anita Mumm is a freelance novel editor, ghostwriter, and writing teacher. She has worked with authors at all stages of their careers, from first-time novelists to #1 NYT bestsellers. Her home base is Salida, Colorado, where she enjoys hiking, swimming in the Arkansas river, and hosting an annual writers retreat. Recently, she co-authored Letters to Doris, a book about Doris Buffett's model of direct philanthropy, and how it transformed the lives of people around the country. Read more about Anita's work at anitamumm.com. Mary Walewski specializes in helping authors build their online platform using social media, website optimization, blogging, and Amazon.com. She founded Buy The Book Marketing in 2005 after discovering a real need for marketing services among local authors. After helping a friend market her first book, her phone started ringing with referrals, always starting with the phrase, “I've published a book and I don't know how to sell it…” She has over two decades of sales and marketing experience and has previously worked for newspapers, libraries, and high tech corporations. Mary is a past president and board member of CIPA (Colorado Independent Publishers Association) and has also run the CIPA EVVY book awards, CIPA's long running book competition. Visit Mary's website at buythebookmarketing.com.